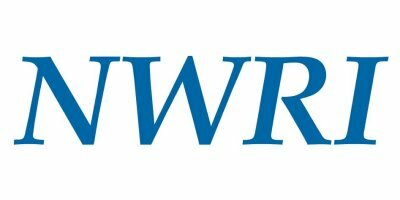 In June 2003, DWR issued the report Water Recycling 2030: Recommendations of California's Recycled Water Task Force, which addressed the mission established in Assembly Bill 331, Chapter 590, Statutes of 2001, to evaluate the current framework of state and local rules, regulations, ordinances, and permits to identify opportunities for and obstacles or disincentives to water recycling. Stakeholder views and opinions regarding implementation. The importance of the Task Force issues. Any new issues that have developed since 2003. The importance of recycled water as a resource for California. Recommended next steps for moving forward. The desired outcome is for the White Paper to serve as a communication piece that can be used by water and wastewater agencies, industry associations, and stakeholder groups to discuss future efforts to advance water recycling in California. The Task Force consisted of 40 people representing federal, state, and local government; public health professionals; private sector entities; environmental organizations; academics; internationally recognized researchers; and public interest groups. It was a cooperative effort between three California agencies: DWR, SVVRCB, and the California Department of Public Health (CDPH). All three agencies play a role in advancing recycled water use. Their work together on the Task Force established an important precedent for the level of state leadership required to advance the use of recycled water. Although water recycling encompasses a broad range of wastewater sources, the Task Force decided to focus on the planned reuse of treated municipal wastewater; specifically, the financial/economic, regulatory, and social issues that typically arise in water recycling projects. The 2003 report was the culmination of over 12 months of intensive study and consultation by Task Force members and agency staff. The Task Force identified and adopted 26 issues with recommendations to address obstacles, impediments, and opportunities for California to increase its recycled water usage. The issues in the Task Force report were subdivided into 'key issues' and 'additional important issues,' with recommendations for each issue. A summary of recommendations from the Task Force Report is presented in Table 1. In the White Paper, the issues have been numbered 1 to 26; the original numbering of 'Issues Areas and Key Recommendations' from the Task Force Report are included in brackets with the title of the issue. Issues 1 through 14 were the key issues in the report; Issues 15 through 26 were designated as additional important issues. More detailed information on the background and context of the issues and recommendations is included in the Task Force Report. ST-10E shredding out of spec/out of date sugar packets. A sifter screen is used to separate the contents and packaging for sugar recovery and paper recycling. No comments were found for Views on the Status of 'Water Recycling 2030: Recommendations of California's Recycled Water Task Force'. Be the first to comment!